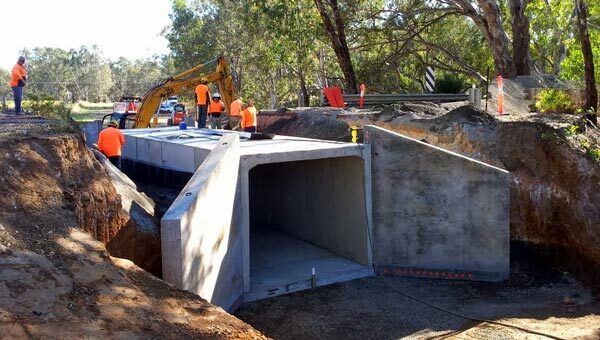 After a long weekend of work, there is now a tunnel under the McIvor Highway. When it’s open to pedestrians and cyclists (very soon) you’ll be able to take the trail down along the river reserve and under the highway to the new bridge over the river. Sunday morning saw the pre-formed concrete tunnel put in place in the hole dug out the day before. By Sunday afternoon, the road base was back in place. 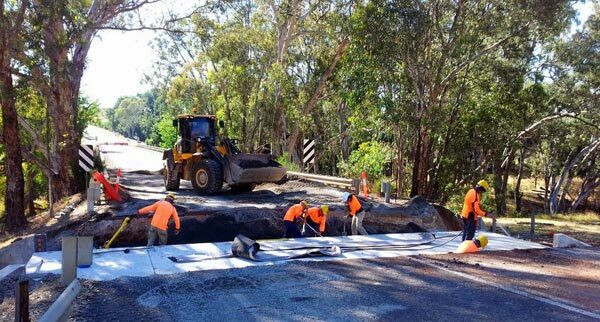 Re-sealing works are taking place over the next couple of weeks.